It would be mad not to get in the spirit of things for this weekend. I love everything to do with the Royal family, and made my husband, sister and friends go and sit front row with a picnic in Hyde Park for the Royal Wedding last year which was brilliant fun. Can't wait for the Jubilee... I'm going down to the Thames to wave at Queenie while she floats down it on her boat. 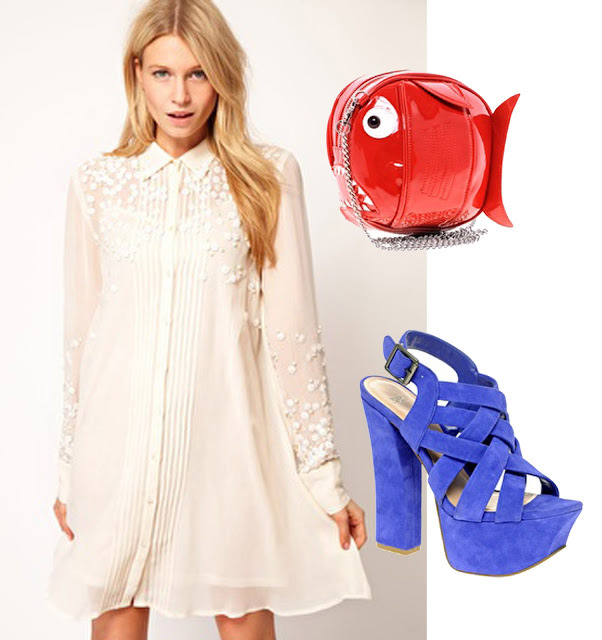 Here is a cute red, white (ok, well kind of cream) and blue outfit from ASOS for the Jubilee weekend.